On April 25, 1781, Greene placed his men on Hobkirk's Hill, a pine-covered ridge running east and west a mile north of Camden, South Carolina. It was to be a staging point for an attack on Camden. Lord Rowden attacked the American position first , and some of the Continental soldiers broke and ran, thus destroying the integrity of the American defensive line. Although the Battle of the Hobkirk's Hill was a tactical British victory, Rowden was forced to withdraw. 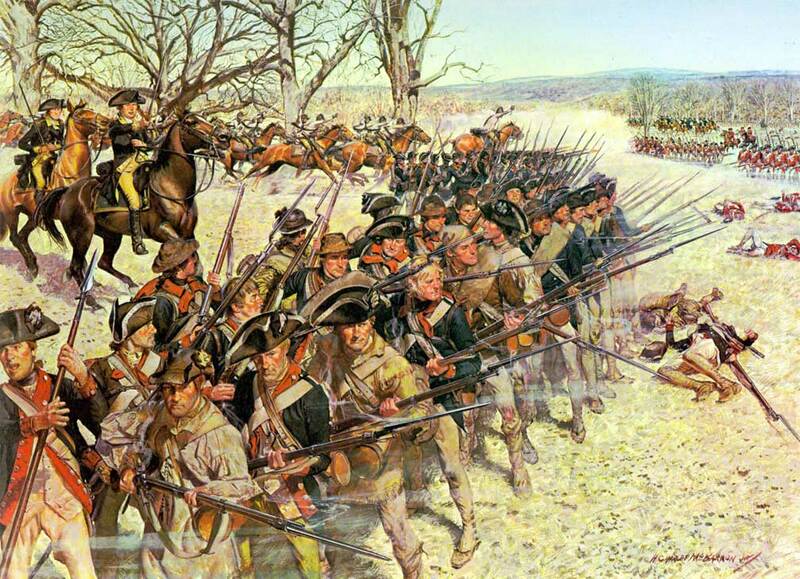 On April 25, 1781, the Battle of Hobrik's Hill took place. It was precipitated by General Greene encamping on the Hill outside Camden, while waiting for reinforcements, so he could attack Camden. The British commander, Lord Rowden, was only 27. Despite his youth, Lord Rowden had the reputation of being an exceptional solider. Rowden did not wish to wait for Greene to attack. He decided to attack the American troops with the hopes of surprising them. Rowdenâ€™s forces indeed surprised the American pickets. However, the main American force quickly engaged and was able to repulse the British attack after heavy fighting. Greene then decided to go on the offensive and attack the British forces. The attack was initially successful, and it looked like Greene was on the verge of a major victory. Unfortunately for Greene and the American forces, the death of key officers of the Maryland Volunteers in the center of the line was the apparent cause for the lines to break there. This caused a widespread retreat among the American forces. As a result, Greene was forced to break off the engagement and retreat. Once again, the British won a tactical victory. However, once again it was victory the British could not afford. They had lost over 250 soldiers killed or wounded during the battle. The Americans who had withdrawn from the Hill returned soon after.